MiraSAT™ is the first cleanroom wiper presaturated with 100% UltraPure Water designed to reduce VOC’s in advanced wafer fabs. MiraSAT™ now makes it possible to achieve IPA like cleaning efficiency without the costs and safety issues related to flammable solvents. MiraSAT™ is a no compromise cleanroom/EH&S wiping solution. 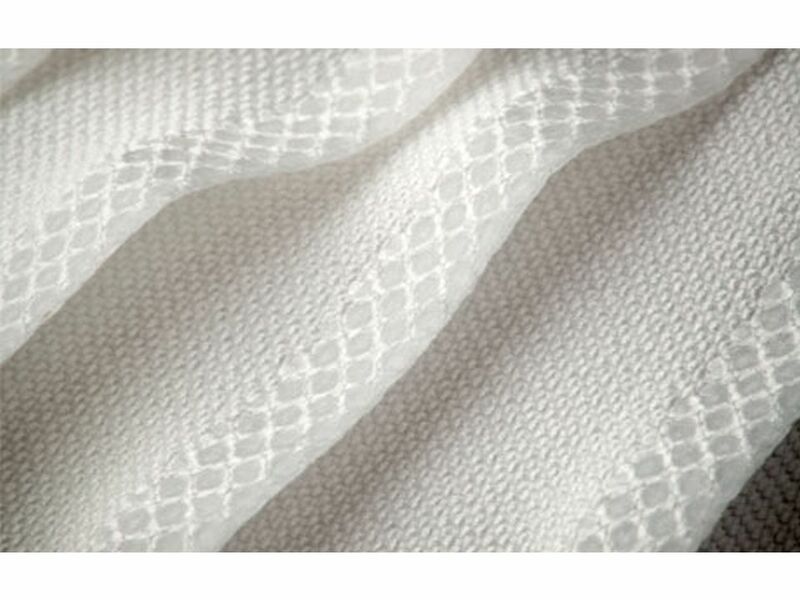 The microfiber construction with a unique woven pattern enables technicians to dislodge, entrap and remove contaminants while leaving critical surfaces clean and dry. The weave and high tensile strength sealed edge provide unsurpassed resistance to abrasion and tearing to reduce in-use particle and fiber generation. Manufactured and processed for ISO 3 and higher cleanroom environments. Each pack is double bagged to aid cleanroom entry protocols. MiraSAT™ Microfiber Sealed Edge Cleanroom Wiper presaturated with 100% Ultrapure Water. Each pack is double bagged to aid cleanroom entry protocols. For use in ISO Class 3 and higher cleanrooms. Cleaning of hi-vac process chambers and robotics in flat panel display and wafer fabs. Cleaning VOC sensitive process equipment in lithography, CVD and metrology modules. Cleaning baked on resist and developer from lithography tracks. Final wipedown of sensitive components such as EFEM’s, electrostatic chucks, VAT valves and gas dispersion plates. Equipment PM’s and wetcleans where the elimination of VOC’s and flammable solvents are required. Protects VOC sensitive fab modules such as lithography, metrology and CVD from solvent fumes. Industry leading abrasion resistant fabric reduces risks of fiber and particle excursions associated with fab wipers. Woven microfiber fabric enables improved contamination pickup leading to faster PM’s and improved equipment uptime. Even, consistent wetting of wiper enables excellent first pass cleaning results and reduced cleaning time. Foamtec’s state of the art processing facilities produces a wiper optimized for use in the most advanced wafer fabs.